Former Brisbane Bronco's coach Wayne Bennett (left) and player Sam Burgess just days after he changed roles. Picture: AAP Image/Dean Lewins. 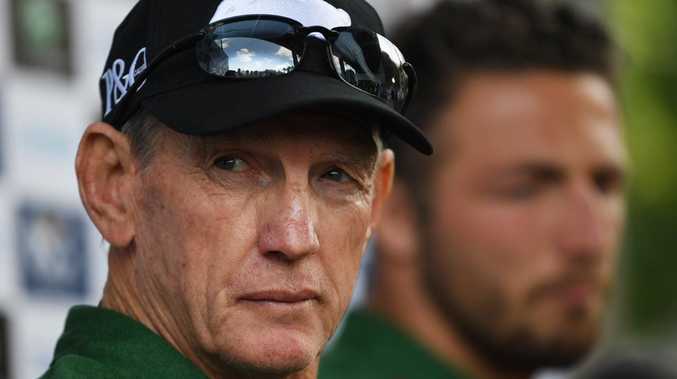 SACKED Broncos coach Wayne Bennett may have taken on the Rabbitohs earlier than expected, but he's decided to keep his Brisbane options open. 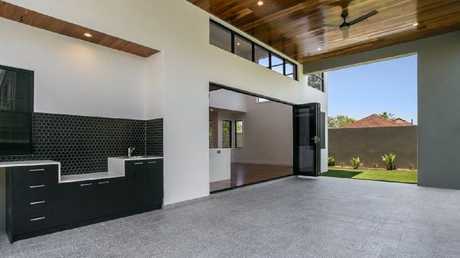 The Queenslander has decided not to list the Yeronga home he shared with partner Dale Cage - instead putting it on the rental market. His four bedroom, three bathroom, triple car space house on Brisbane Corso will be available almost immediately - with the new tenant able to settle in next Friday February 1. 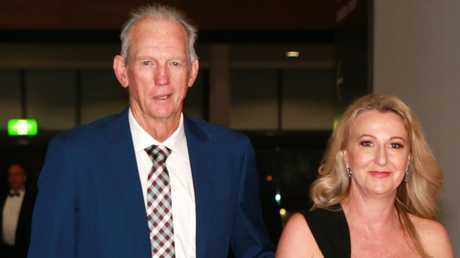 Wayne Bennett and partner Dale Cage at the Broncos Award Night at the Exhibition Centre in South Brisbane in October last year. Picture: AAP Image/Sarah Marshall. You'd need some deep pockets to have the former Broncos coach for a landlord though, with it up for rental at $1850 a week. Bennett was sacked as coach of the Brisbane Broncos on December 2. Two days later he told gathered media "we'll all get over it". 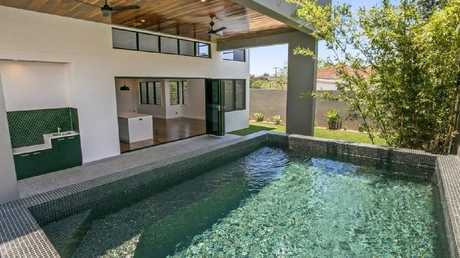 The beautiful home is ready to be rented out from next Friday. He and partner Dale bought the house in Yeronga on October 12, 2016 for $1.975m. 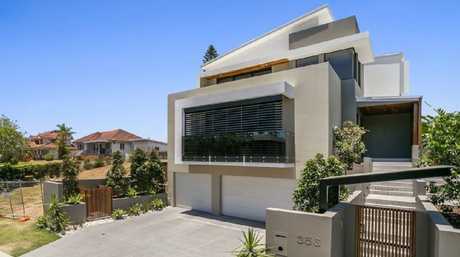 House prices in the suburb have risen 36.1 per cent in the last five years. 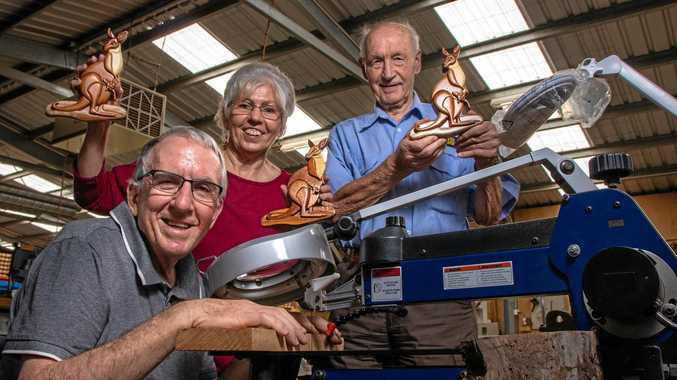 He also has several property interests in Queensland with his partner of 42 years Patricia, whom he left in 2016 for Dale. The 2015 Daly M Coach of the Year began his Rabbitohs stint last month. 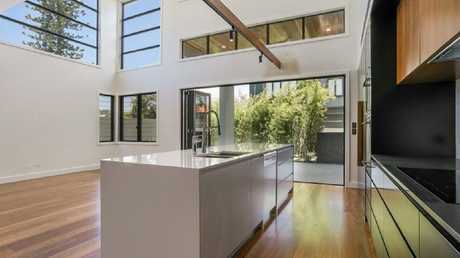 Light and bright in Wayne Bennett’s kitchen. It has a serene entertainment space out back. Don’t mind that outdoor kitchen at all.